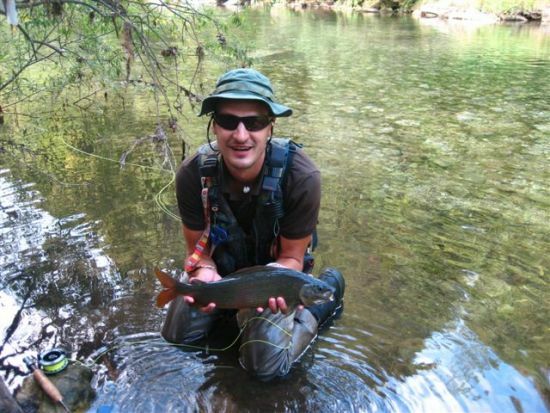 This river is situated in central western part os Slovenia and is 60 kilometers long. 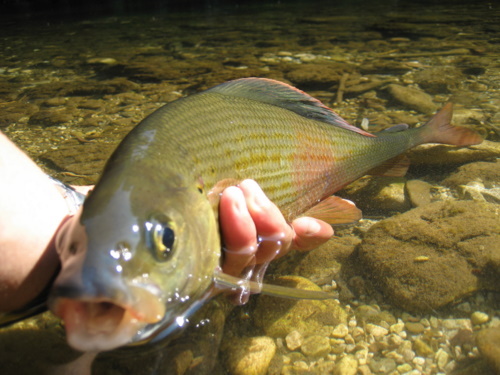 It has karstic characteristic and it flows through Idrijca valley. The biggest town in the valley is Idrija, which is known for it´s second biggest mercury mine in the world (now closed). After it´s journey it flows into Soca river. The main characteristic of Idrijca river is it´s quick water level rising and declining and its very slippery stones caused by a variety of algae that are growing on them. 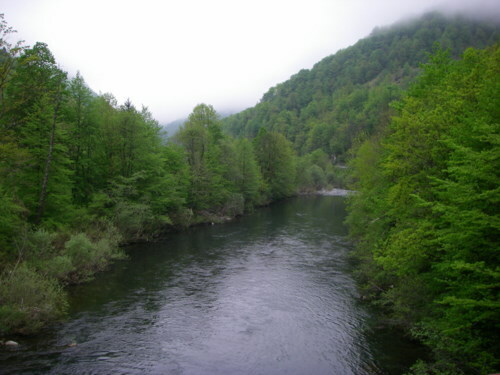 For this river is remarkable also that it has the shortest river inflow called Jezernica, which is about 50 meters long. This short river is known for it´s spring called Divje jezero or “wild lake” in which the endemic Olm or Proteus (Proteus anguinus) was discovered. 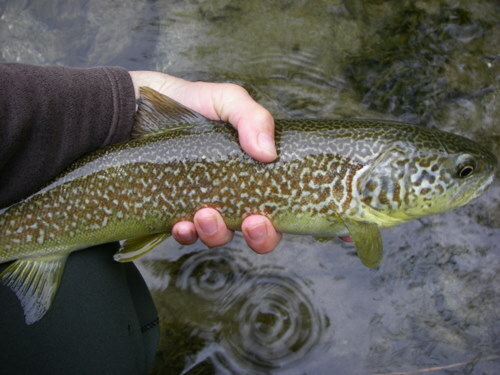 The Idrijca river is also known for it´s other water inhabitants. 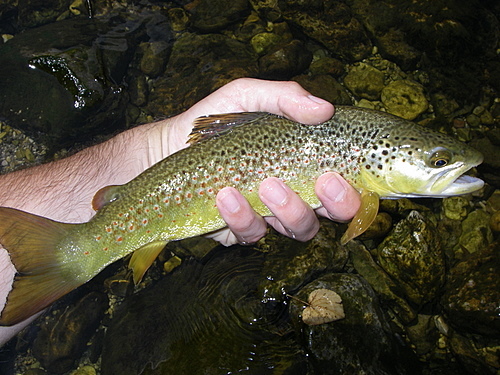 Because of it´s connection with Soca river it has a big population of native marble trout with the same genotype, but with a different fenotype, as a result of different habitat. This difference doesn´t impact on it´s lenght and weight. Exemplars bigger than 10 kilograms are very common. So if you want catch them, heavy gear is advised. 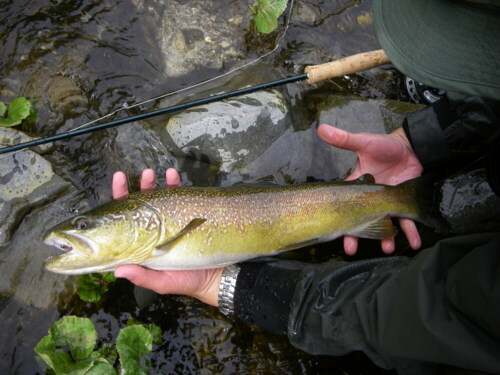 The main technique allowed is fly-fishing, spinning is allowed only to people older than 60 years, but only in a small district. 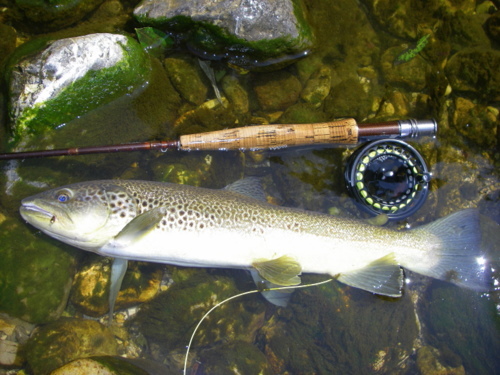 For dry-fly enthusiasts big graylings are good challenge, especially in the summer months when the water level is low, this could be the only option to catch them. 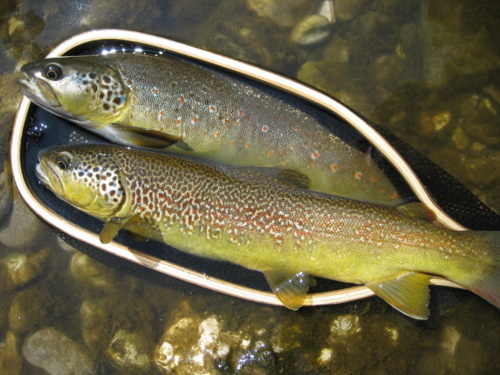 Other species that live in Idrijca are: brown trout, hybrids, rainbow trout, chub and barbel.